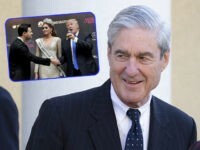 Tiger Woods delivered his best performance in years and the Open Championship had some of its best television ratings ever, none of that is a coincidence. Jordan Spieth is hoping to join the elite group of golfers to have retained the British Open title as he goes into the final round at Carnoustie on Sunday in a share of the lead. Tiger Woods chose the third round of the British Open on Saturday to produce one of his best rounds of golf in a decade and climb right into contention on a packed leaderboard at Carnoustie. 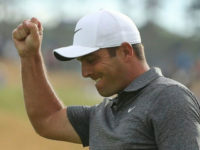 Carnoustie (United Kingdom) (AFP) – Kevin Kisner of the United States surged to the top of the early British Open leaderboard on Thursday as Rory McIlroy and Tiger Woodsprepared for afternoon starts at Carnoustie. 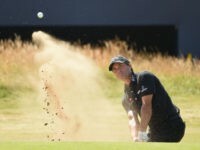 CARNOUSTIE, Scotland (AP) — Tiger Woods doesn’t feel as old at the oldest championship in golf. 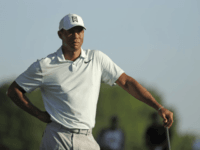 London (AFP) – Three time British Open winner Tiger Woods is to play in this year’s championship for the 20th time but first since 2015, tournament organisers announced on Wednesday. For the first time in its 273-year history, Muirfield Golf Club in Scotland will admit women as members after the Honourable Company of Edinburgh Golfers voted to overturn its men-only policy. Henrik Stenson’s play at the British Open will go down as one of the greatest individual performances in sports history. As far as golf history, there’s no doubt it’s the greatest. What he did at Royal Troon has only been equaled outside of his sport. 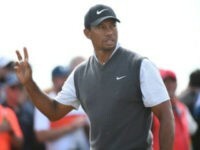 Tiger Woods officially withdrew from the British Open on Friday. 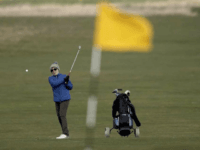 The R&A announced that the 148th Open Championship in 2019 will return to Royal Portrush, making it only the second time in British Open history, and the first time in nearly seventy years, the tournament will be held outside England or Scotland. 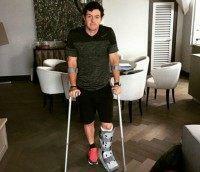 The world’s top-ranked golfer and reigning British Open Champion Rory McIlroy tore his ATFL—the anterior talofibular ligament—in his left ankle while playing in a soccer “kickabout” on Saturday.